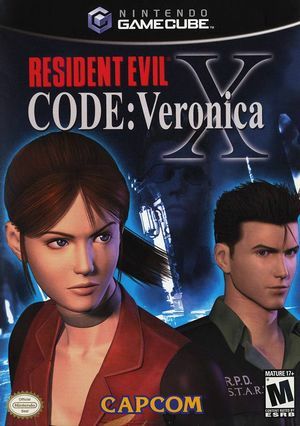 Experience another terrifying chapter in the Resident Evil series with Resident Evil Code: Veronica X (aka Biohazard CODE: Veronica X in Japan). After narrowly surviving the horrific onslaught in Raccoon City, Claire Redfield now seeks clues in search of her missing brother, Chris. Join Claire as she uncovers the insidious activities of the Umbrella Corporation. Avoid or eliminate flesh-eating zombies and horrific beasts. Use a variety of weapons, items, and clues scattered around to help you survive the nightmare and make sure the virus doesn't spread any farther. EFB Copies to Texture Only must be disabled and Texture Cache Accuracy not set to Fast to avoid missing graphics and broken videos. This game has sound issues. Even DSP LLE won't solve the problem. In the PAL-Version the 60Hz mode cannot be activated at startup. Use this Gecko code to force the 60Hz mode. The graph below charts the compatibility with Resident Evil Code: Veronica X since Dolphin's 2.0 release, listing revisions only where a compatibility change occurred. This page was last edited on 19 February 2019, at 21:37.